I picked this beer up because I want to drink all of the Spoetzl Breweries different brews. I saw it, and I immediately purchased it. To be honest, the beer was good, but it was not great. It didn’t really taste like grapefruit or ginger, but it was enjoyable to drink. 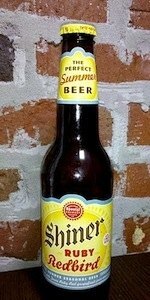 I do think that it is a good Summer beer.